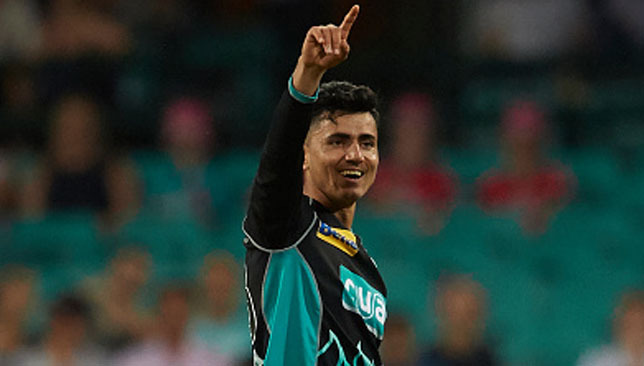 Afghanistan spin-bowling sensation Mujeeb Ur Rahman has signed up to play for county side Middlesex in their T20 campaign this season. The 17-year-old has picked up 54 wickets in all formats since making his debut at the age of 16. He will be hoping to have the same impact as compatriot Rashid Khan at Sussex last year. Rahman has enjoyed a successful Big Bash campaign with Brisbane Heat, picking up 12 wickets including best figures of 3-16. Law said Rahman adds mystery to the attack. Afghanistan star spinner Rashid Khan is known for his lethal leg-spin bowling in the shorter formats and is one of the most sought after players in the franchise market. But it looks like Rashid takes his batting very seriously as well. The lower order batsman likes to make a statement with a bat and he did that very well by unleashing the ‘helicopter shot’ – created by India gloveman MS Dhoni – during the Mzansi Super League T20 in South Africa. Batting for Durban Heat in tense chase of 189 against the Tshwane Spartans, Rashid dispatched fast bowler Lutho Sipamla over the mid wicket boundary with a bottom-handed whip, mirroring the stroke made famous by Dhoni. This isn’t the first time Rashid has pulled off that shot. Playing in the T10 League in Sharjah last month, Rashid – playing for Maratha Arabians – hit Pakhtoons pacer Mohammad Irfan over the on-side for a maximum. 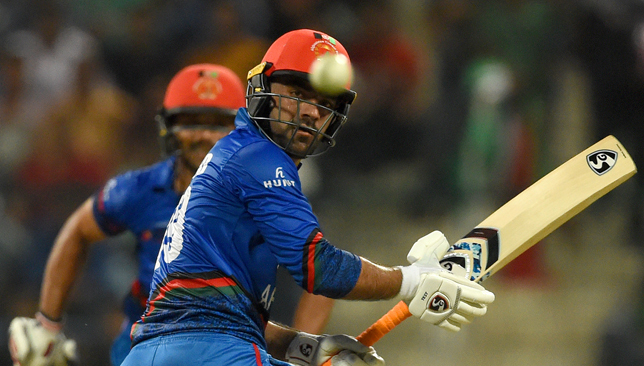 Afghanistan power-hitter Hazratullah Zazai - cricket's next million-dollar batsman? Hazratullah Zazai. Image: Afghanistan Cricket Board/ Twitter. 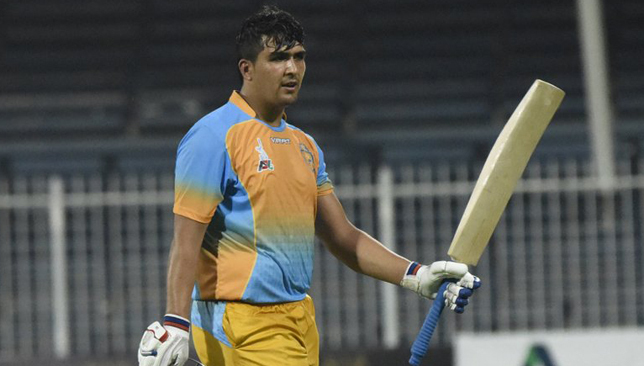 Afghanistan batsman Hazratullah Zazai is the next big thing in franchise cricket. 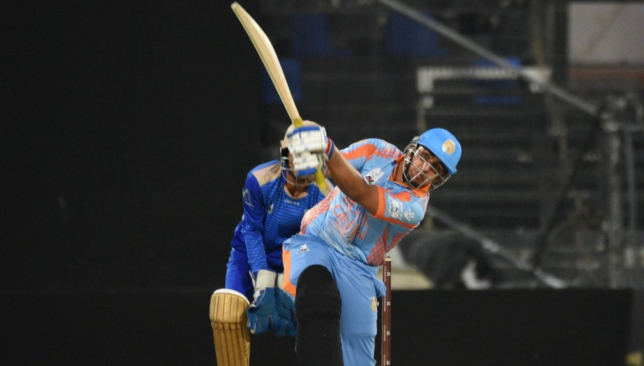 The hard-hitting left-handed batsman entered an elite club of batsmen when he smashed six sixes in an over batting for Kabul Zwanan against Balkh Legends in the Afghanistan Premier League at Sharjah in October. Before that, Zazai had cracked 124 from 55 balls opening the innings against Nangarhar Leopards with nine hits over the fence. Zazai took that form into the T10 League playing for Maratha Arabians, hitting 129 runs in four matches. Add to it his unrivaled power when hitting the ball, Zazai should have no trouble in becoming one of the most sought after batsmen in franchise cricket soon. And he is just 20. Zazai belongs to the see ball, smash ball school of batting. He trains hard on his six-hitting ability and simply waits for the ball to come into his arc. “I train very hard on my batting. I work on my batting two to three hours every day. And practice my six hitting. I just wait to hit my favourite shot. I don’t care if it is the first ball or the last ball,” Zazai told Sport360. That favourite shot, if you haven’t seen his six-fuelled over against Abdullah Mazari, is the bottom-handed wallop over the leg side. He has taken one aspect of batting and taken it to the stratosphere. No wonder his fan base has increased dramatically. “I try to hit sixes every match. Ever since I hit those six sixes, my fan base has increased in Afghanistan and India. If you are a bowler, you do fear a batsman who has hit six sixes,” the southpaw added. Such uncomplicated hitting will naturally attract the attention of the biggest franchises in the world. The Indian Premier League, obviously, must be topmost in his mind and it would not be a stretch to imagine him as a million dollar commodity. “Inshallah I will try my best. It’s up to the teams whether they take me or not. Let’s see what happens,” he said. Surely he knows he is sitting on a goldmine. Zazai truly began to believe in his game during the tour of the UK earlier in the year. There he hit 82 and 74 in two T20 games in Ireland. But before that, he struggled during the training camp in England, finding it difficult against the moving ball during practice games. “I felt better after that knock in Ireland. When we went to England for camp, we had practice matches there. It was very difficult for me. Because I was playing on England and Ireland pitches for the first time, it proved to be tough. The ball would swing and seam. It was very difficult. It is but natural for comparisons to be made between Zazai and some famous power hitters in the game. Chris Gayle was fielding for the opposition when Zazai hit six sixes in an over. Swashbuckling batsman Mohammad Shahzad is his Afghanistan team-mate. The Paktia native said while Gayle remains his idol, he doesn’t consider himself to be a better six-belter than Shahzad. Hazratullah Zazai. Image – APLT20/Twitter. “My idol has always been Chris Gayle. I have never missed any match of his. I have always been a big fan of his. When he played in our APL, I managed to hit six sixes with him in the opposition. That was a special day for me. The journey has just started for Zazai. Much more challenging bowling attacks and conditions await. Which is why he tries to pick the brains of the stars of the game, who he has been interacting with during the APL and T10 League. But it’s not all about 120 balls or less for Zazai. He has a decent first-class average of 39 from 17 matches with three centuries and eight fifties. That’s almost as many T20 matches he has played in his nascent career. He hopes to build on the momentum his T20 batting has generated and wants to translate that into performances in longer formats. “Our domestic cricket back home is mainly four-day matches and List A, not so much T20 cricket. I am trying and hope to play more longer format matches for Afghanistan,” he added. For now, it’s his ability to clear the field on demand that is the talk of franchise town and expect some big bucks to be paid for his services. Young Afghanistan cricketers have so far been coveted in franchise cricket for the exciting spin variety they bring to the table – be it Rashid Khan or Mujeeb ur Rahman. But now we have a 20-year-old who looks set to dominate teams through the power of his bottom hand.